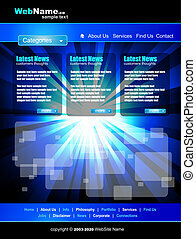 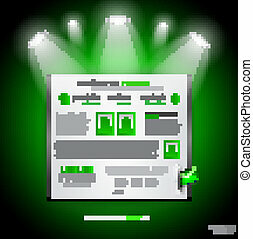 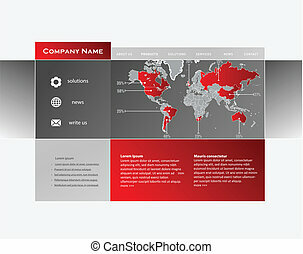 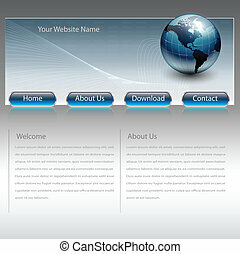 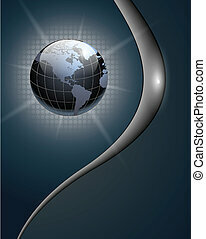 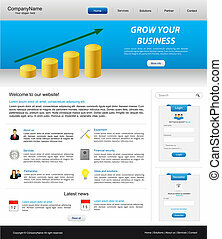 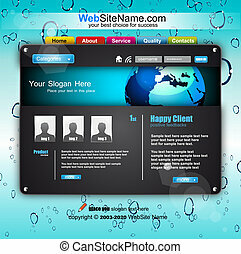 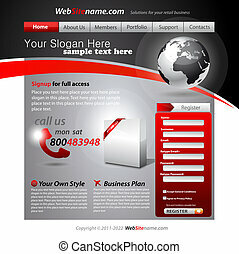 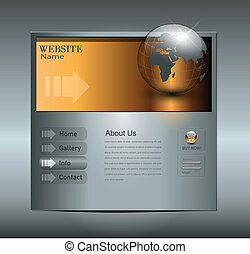 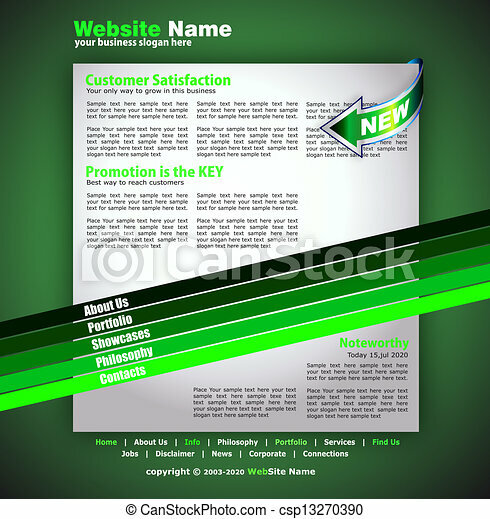 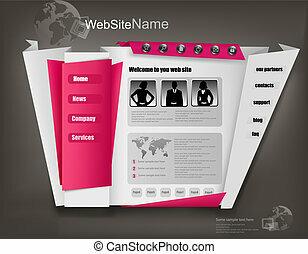 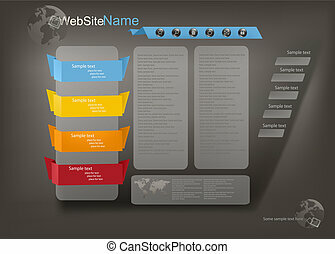 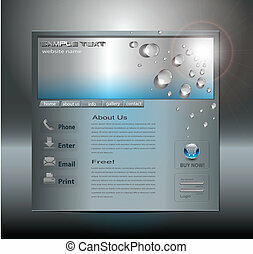 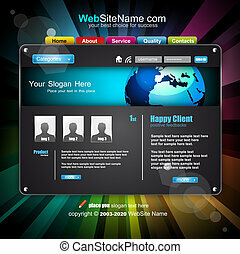 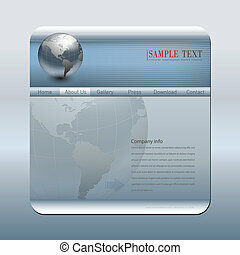 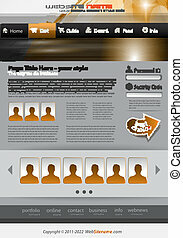 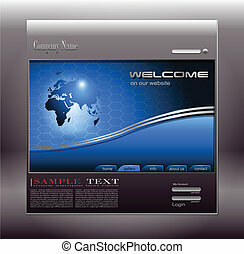 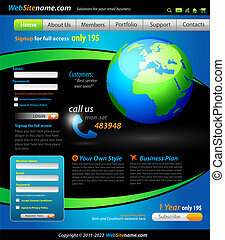 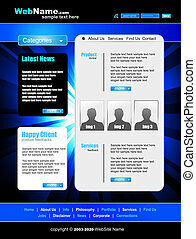 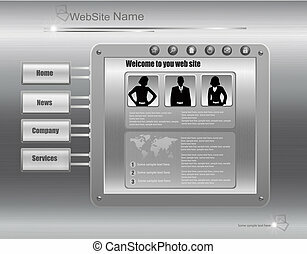 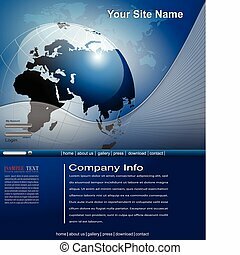 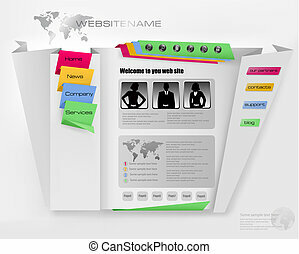 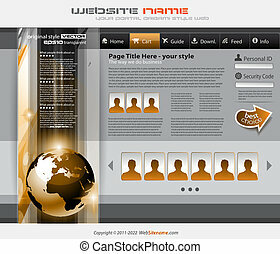 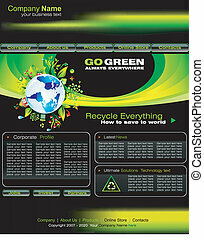 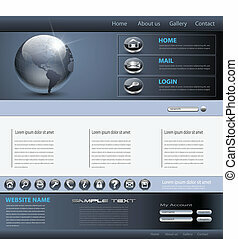 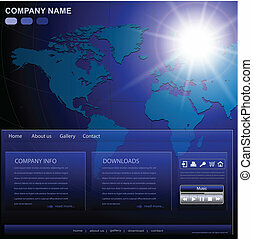 Business WebSite Template with accurate Globe illustration and space for featured product promotion in the homepage. 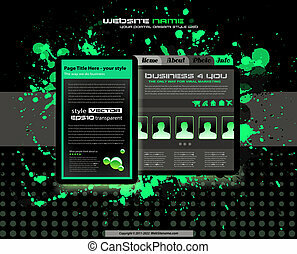 Hi tech and grunge style business website template for stylish blogs. 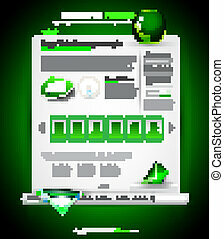 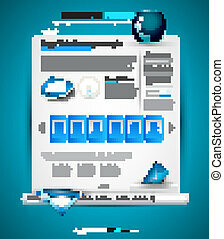 Backgrounds and Drops under clipping masks are complete and fully editable.